After launching the Gear S3 in the US, Samsung has now rolled out the second firmware update for its smartwatch. The update brings improved GPS performance for the S Health and the Golf Navi apps on the Gear S3. 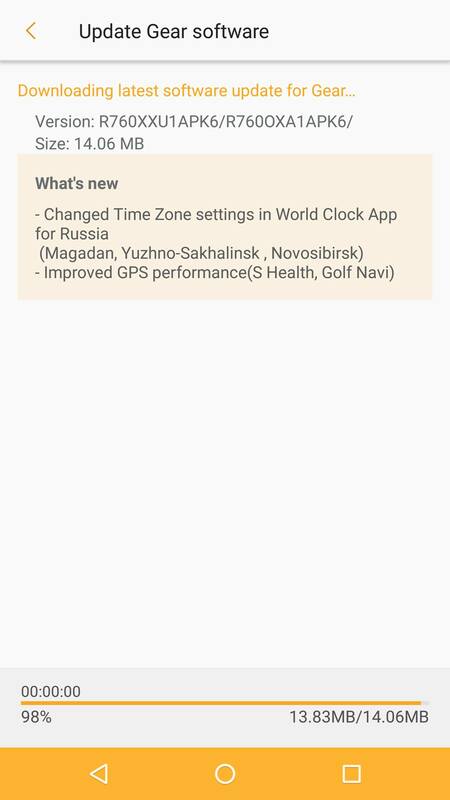 The update also brings some changes to the time zone settings in the World Clock app for Russia. The minor update with version number R760XXU1APK6/R760OXA1APK6 has a file size of 14.06MB and is being rolled out now. Samsung released the Speedometer for Gear app yesterday for the Gear S3. The app shows the speed of a user in real-time using the smartwatch’s GPS capabilities. When The Gear S3 will come in India? I have contacted someone in Samsung India, and they don’t want to comment on the dates.